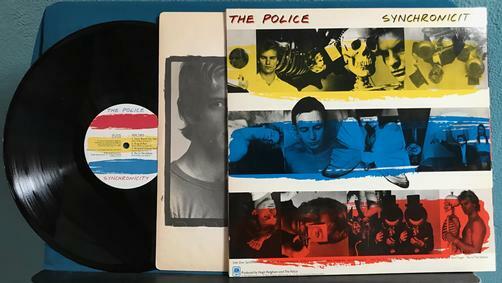 This is an Original, LIMITED 1983 PURPLE QUIEX AUDIOPHILE VINYL pressing from the Police. BLUE, RED, YELLOW color pattern on cover. It is also a MASTERDISK RL pressing (Robert Ludwig). Ludwig was a master at mastering and his albums and they typically sound better than most. MASTERDISK RL stamped in dead wax. Vinyl has a few light surface sleeve scuffs just holding grade down, nothing I can feel. Side 2 has slightly more wear. Labels are excellent. 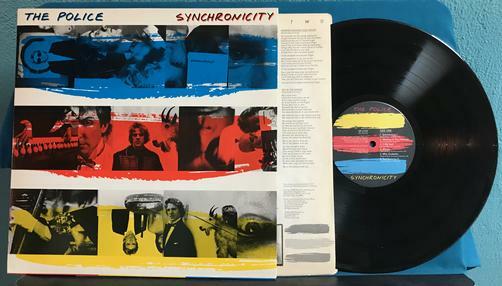 Original inner sleeve has splitting in the center of all 3 edges. Cover has cornerwear and light edgewear.